1. 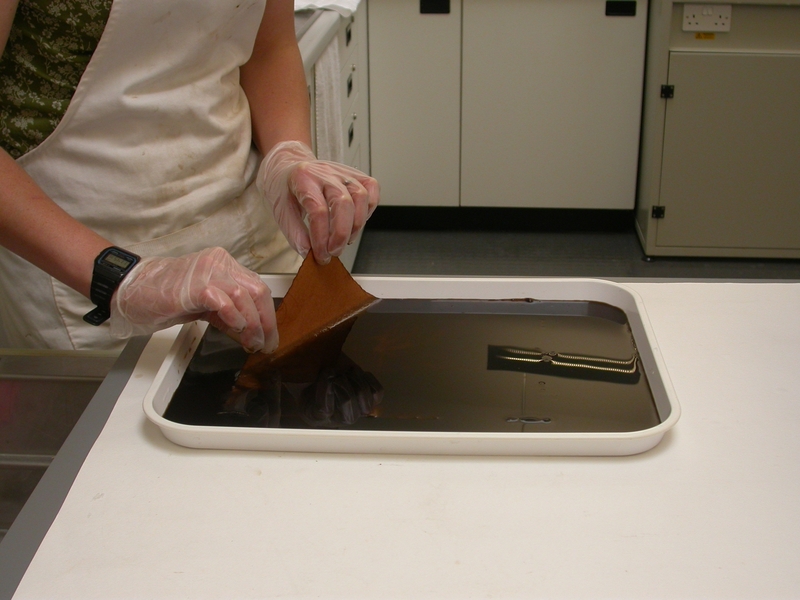 Do the reactive dyes affect the flexibility or stiffness of the cloth? 2. Did you happen to notice a North American distributer or supplier of the Procion MX dyes? Hi Jeff, and thanks for your comments and questions. The handling properties of the cloth, in terms of stiffness or a decrease in flexibility, do not seem to be altered in any way by the dyeing process. The initial fabric was mercerised and as such was fairly shiny. Some of this sheen was lost in the dyed textile but for the work I am undertaking this is a benefit rather than a disadvantage. The dyed textile remains flexible and soft. Ruth Norton’s article gives details of suppliers in the US and I think Australia at the time of publication. There are many international manufacturers and suppliers of Procion MX-type dyes, with the US licence being held by Dystar from memory. Most suppliers of dyes to craft textile workers should carry Procion MX dyes but they may be under a different trade name. Procion MX is the name given to this type of reactive dye by the initial manufacturer ICI. I know they have a different name in the US, which I will check out for you. The problem with identifying manufacturers is that licences or aspects of a particular chemical business are sold so it is difficult to follow a supply chain over time. However, I will check the mass of information I have on this and post the results. i want a model of a DEYING INDUSTRY,INFORMATION about THE DUST THEY EMIT,AND how to REFINE it. Thanks for your query. The best starting point I can give you is to consult Chemical Principles of Textile Conservation, Timar-Balazsy and Eastrop, Butterworth Heinemann, 1998. It has an excellent bibliography and will give you a broader range of titles from which you will be able to gain the information you need. I also found google searches to produce quite a lot of articles available online. Good luck.